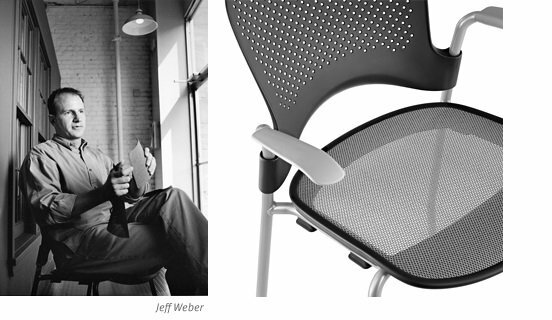 Caper Chairs do so much, and are nice to have around, precisely because Jeff Weber kept the needs of the average person in clear view throughout the design process. For those wanting a lightweight chair, he made Caper compact; its armless version weighs just 9.5 pounds. He added portability; the chair even has a handle. For versatility, he made Caper stack, up to six high, so it can be part of the action or out of the way, depending on the need. To achieve this level of performance-and a surprising level of comfort-Weber used standard materials in new ways. One example: Caper's seat and back are contoured for the body and perforated for airflow. Comfort and convenience, and now with new colors in vibrant hues and subtle neutrals-Caper Chairs are a novel design that fit any space where budget matters and mobility is paramount.